Your body is amazingly adaptable, and you may take it for granted that it will keep performing in the way you expect. However the truth is we all need to help things along by eating at regular intervals, paying attention to the fats, carbs and proteins of all of the foods we eat, getting regular exercise, maintaining a healthy weight, sleeping regularly and managing the stress in our lives. If you fail to do these things, especially if there is a hereditary predisposition, you may be diagnosed with Type II Diabetes. One of the grave concerns we have as a culture is that Type II Diabetes is no longer a disease of old age. It is happening to people at a younger and younger age. Diabetes Milletus refers to a category of metabolic disorders that are characterized by issues with proper insulin secretion and metabolism leading to high blood glucose levels. Diabetes is diagnosed when fasting blood glucose levels are greater than 125 mg/dL. Pre-diabetic blood glucose levels are 100-125 mg/dL. Normal fasting blood glucose levels are less than 100 mg/dL. Diabetes is divided into two major classifications—Type I Diabetes (used to be called Juvenile Diabetes because it mostly affected children and young adults) and Type II Diabetes (used to be called “adult-onset” Diabetes because it mostly affected adults over the age of 40). Type I Diabetes accounts for only about 5-10% of diabetes cases, with 90-95% of cases being Type II. In Type I Diabetes there is little or no insulin secretion from the pancreas due to heredity, a virus or autoimmune disease that all damage the pancreas and its ability to produce insulin, and therefore, those with Type I diabetes must take insulin. In Type II Diabetes there is generally both insulin resistance and inadequate insulin, which may be managed with lifestyle changes, medications and/or insulin injections. No one is quite sure what causes the development of Type II Diabetes, but it seems to be related to family history, obesity, aging, inactivity, smoking, alcohol abuse and a poor diet. In both types of diabetes the problem is that glucose reaches high levels in the blood, which leads to short and long term complications. Elements of your lifestyle that seem to lower your risk of developing Type II Diabetes are not smoking, maintaining a healthy body weight, eating a healthy, anti-inflammatory diet, staying active and limiting alcohol consumption. Clues that your body gives you that you might have diabetes include excessive hunger, excessive thirst, excessive urination, lack of energy or fatigue, blurry vision and a tingling sensation in the extremities. It is estimated that over 23 million Americans have been diagnosed with Diabetes and nearly 60 million Americans have pre-diabetes. The diagnosis of Type II Diabetes is occurring more frequently in children and adolescents, and seems to be related to the increasing incidence of obesity in these groups. Insulin is the hormone secreted by the pancreas that signals the body to allow sugar, amino acids and fatty acids (from the foods you eat) to enter the cells to produce energy. If the sugar in your blood cannot get into the cells it builds up in your blood and will cause damage to your body. If blood glucose is chronically high, it will cause damage to blood vessels, nerves and organs of the body. Some of the excess blood sugar will spill into the urine which is why testing the urine for sugar is one way to detect diabetes. If you are insulin-dependent due to diabetes, insulin must be taken as an injection (or by insulin pump) rather than as a pill, to keep it from being digested by your system and rendered useless. When your cells become resistant to the insulin secreted by your pancreas and therefore the glucose in your blood cannot get into your cells, you have what is called "insulin resistance." When insulin resistance occurs, your body tries to compensate by secreting even more insulin, which can eventually fatigue the pancreas so that it can no longer produce the needed insulin. Hormonal changes caused by stress can also reduce the effectiveness of insulin. -If you suspect you have diabetes or pre-diabetes, consult your doctor, get tested and meet with a dietitian or nutritionist to plan the changes you will make to your diet. -Paying attention to what and when you eat is a major component of diabetes treatment for both Type I and Type II Diabetes. -Type I diabetics must commit to a lifelong program of controlling their diet, exercise and insulin injections, while Type II may be controlled with lifestyle changes or a combination of lifestyle changes and medications. -Maintaining an appropriate and consistent level of calories and carbs spaced throughout the day,is the best way to manage diabetes with diet. -Eating too few or too many carbohydrates may wreak havoc on your insulin response which is already not working well if you have diabetes. -While conventional wisdom decrees that diabetics don’t need to eliminate sugar altogether, avoiding foods with added sugar is advisable for diabetics as well as for the general population. -Most diabetics (who are managing their disease) control their diet by counting carbs. -Carbohydrates are the foods that most readily turn into blood sugar, but proteins and fats can also be converted by the body, if needed. 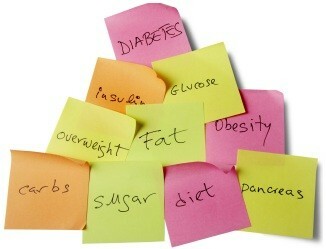 -Overeating food of any kind, even healthy food, is counterproductive to managing diabetes. -It has been shown that even losing 10 or 20 pounds can improve your body’s insulin resistance. 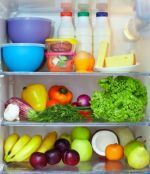 -Insulin resistance may be triggered by inflammation, so it is important to eat an anti-inflammatory diet of colorful fruits and vegetables, other complex carbs, healthy fats, and lean proteins. -For more information check out diabetes.org. -Fiber in foods helps regulate the release of glucose into your bloodstream, so a diet with adequate fiber is essential to managing diabetes. -Clinical studies have shown that monounsaturated fats and omega-3 oils improve insulin response, so including these healthy fats is an important part of managing diabetes. -Regular, moderate physical activity will help improve blood sugar levels as well as help you to achieve a healthy weight. -Learning to manage stress, using meditation, prayer, deep breathing, exercise or whatever works for you, is important for diabetics, since the hormonal changes caused by too much stress can have a negative effect on insulin function. -Those with diabetes are encouraged to take particular notice of their feet, since this is where problems could begin that may go unnoticed due to nerve damage and numbness. -You don't have to be a victim of diabetes, since, depending on what type you have and where you are in the progress of the disease, it can be prevented or managed so that you can live a long and healthy life. (1) Untreated diabetes will lead to blurry vision and other problems with the eyes that can eventually cause blindness. --The leading cause of blindness in America is Diabetic Retinopathy, a complication of chronic high blood sugar. --Your eye doctor may be the first person to notice that you have diabetes due to the changes in your eyes that are revealed during an examination. --Macular edema is another eye problem caused by untreated high blood glucose. --Both diabetic retinopathy and macular edema may be treated with lasers, which can help to halt the progress of the deterioration of your sight but will not cure them. --You can avoid the advanced stages of diabetic retinopathy by maintaining a healthy weight, eating a healthy diet, exercising and managing stress. (2) Diabetes is a leading cause of kidney failure since the damage to blood vessels affects the kidneys and their ability to function properly. (3) Those with diabetes tend to develop heart disease, which will rapidly progress and be more severe than in the general population. (4) Since chronically high blood sugar can damage nerves, diabetics may lose feeling in their hands and feet. (5) Diabetes causes you to be more susceptible to infection because of poor circulation caused by damage to your blood vessels. (6) Left untreated, diabetes will ultimately result in death, most likely from heart disease, kidney failure or diabetic coma. Click on this link to go from Healthy Eating Diabetes page to Names for Sugar page.